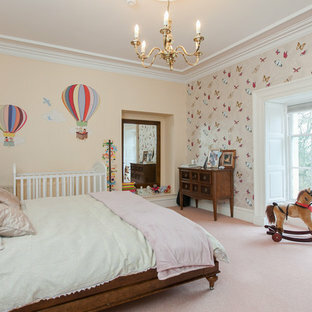 Pink walls and a patterned carpet run throughout the bedroom and playroom suite of this charming tot-to-teen bedroom, creating continuity and visually enlarging both spaces. 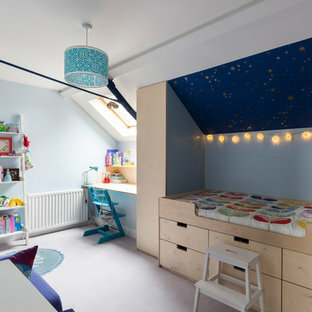 Black and white polka dot fabric was added to create a more grown-up look for this tween girl. Feng Shui inspired tones, maccassar ebony, Bisazza mosaic and even a silk hand painted princess’ bedroom were all utilised to create this elegant home. 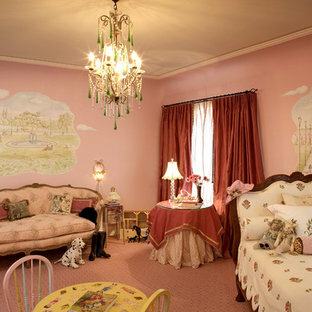 A room where wishes came true for a little girl who loves pink. Fanciful hand-painted murals of Paris are her inspiration to day dream and play.